ARE YOU RELOCATING TO CHINA? WE CAN HELP! Relocating overseas can be a stressful time, especially if you’re moving as far away as China. At Schepens, we aim to help make every move as simple and stress-free as possible by helping with every step of your move – from planning and packing to shipping, delivery and storage on arrival. We have a great deal of experience and knowledge in removals to China, ensuring that your shipping will arrive on time and securely at your destination. We have helped people to move to all areas in China. How long does shipping to China take? Guangzhou, Shanghai, Beijing, Shantou, Shenzhen, Tianjin, Chengdu, Dongguan, Hangzhou and Wuhan. China has become a very popular destination for migrants from the UK in the past decade. It’s booming economy makes it an attractive country for anyone looking for work or interested in starting a new business. China also has an amazing natural beauty, rich culture, and fascinating history. If you are moving to China from the UK in the coming months, make the journey easier by hiring an experienced China removals company. 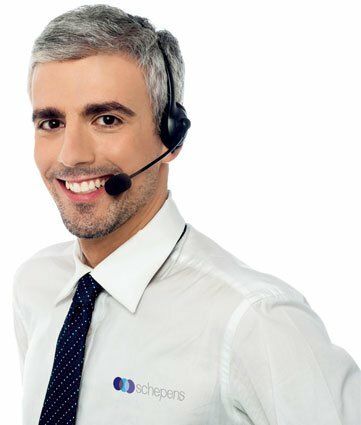 Schepens will make moving to China simple, thanks to our team of skilled removers and move coordinators. Speak to us today on 01794 323558 for a no obligation removals quote on your move to China. We are a family owned company that has been in business for over 100 years. Our team has performed thousands of international removals to China and we understand the logistics of the journey. We will ensure that your cargo is moved safely to China. This article will explain why so many people are moving to China from UK. We’ll also share a few useful resources for moving to China and explain why Schepens is the best choice for China removals. Why are people moving to China from UK? The Chinese economy has grown at a rapid pace over the past few decades. It is now one of the largest economies in the world and the world’s largest exporter. Hundreds of the world’s largest companies use China to manufacturer their products. It is an excellent location for starting a business, with affordable labour costs, easy access to raw materials, and a business-friendly regulatory environment. The Chinese people have a rich history that is well preserved. You can visit historical sites that are thousands of years old and learn about the many different ancient traditions. Learning about Chinese culture is interesting, exciting and very rewarding. Although China has been growing at a rapid rate, it is still one of the most affordable countries to live in. Food, clothing, vehicles, and other consumer items are very cheap. You will also have many affordable accommodation options on offer. These resources will be useful for planning your move to China from the UK. Why use Schepens when moving to China from UK? Our international removals company was established over 100 years ago. We have performed countless China removals and are familiar with international removals to China. Our experience and local knowledge makes us the most reliable, efficient and secure choice for China removals. Schepens is a huge international removals company with depots in many locations around the world. The large scale of our operation allows us to operate very efficiently and to obtain heavy discounts from suppliers. This allows us to offer clients very affordable rates for China removals. All clients moving to China from UK will receive a 100% free quote. Our quotes cover all important details including the removal schedule, pickup date, delivery window and total cost. Our company takes the security of your cargo very seriously. We take many steps to keep your cargo safe, including using security alarms, adjustable barring systems, and air ride suspension in removals vehicles. We also provide our removers with security training. Our removers are friendly, hard-working and trained to a high standard. They all work according to the standard laid out by the British Association of Removers. These standard cover all aspects of the removal, from the contingency plans to security of the removal. Schepens perform removals to and from all major towns, cities and areas of China including: Guangzhou, Shanghai, Beijing, Shantou, Shenzhen, Tianjin, Chengdu, Dongguan, Hangzhou and Wuhan. If you are moving to China from UK, Contact Schepens today on 01794 323558! Our friendly staff members are waiting for your call!